Safety is integral in any business. At Hindustan Zinc, safety is the heart of our operations and essential for smooth business. It is essential not only at the workplace, but also beyond the boundaries of the business. Every employee is important to us. As a responsible organization, Hindustan Zinc forms the foundation for the employees to create an inter-dependent safety culture. Workplace safety is a mission, critical for any operation. All of us in the Company always assess the surrounding and always keep safety as the focal point in each activity. ‘Zero Harm’ is our un-relenting objective. Our belief is that – accidents do not come by invitation; and every accident is avoidable. We must learn from the mistakes of others rather than committing them ourselves. Where compliances in safety play a decisive role, the informal interaction with the employees, knowing about the well-being of their families, do generate sense of value for “Being Safe”. Since most of the employees come from rural joint families and are sole earning members, their safety and well-being becomes more meaningful. The entire family is dependent on them for education, shelter and livelihood. With this thought, Project BE SAFE was launched in 2015 to imbibe safety as a responsibility. 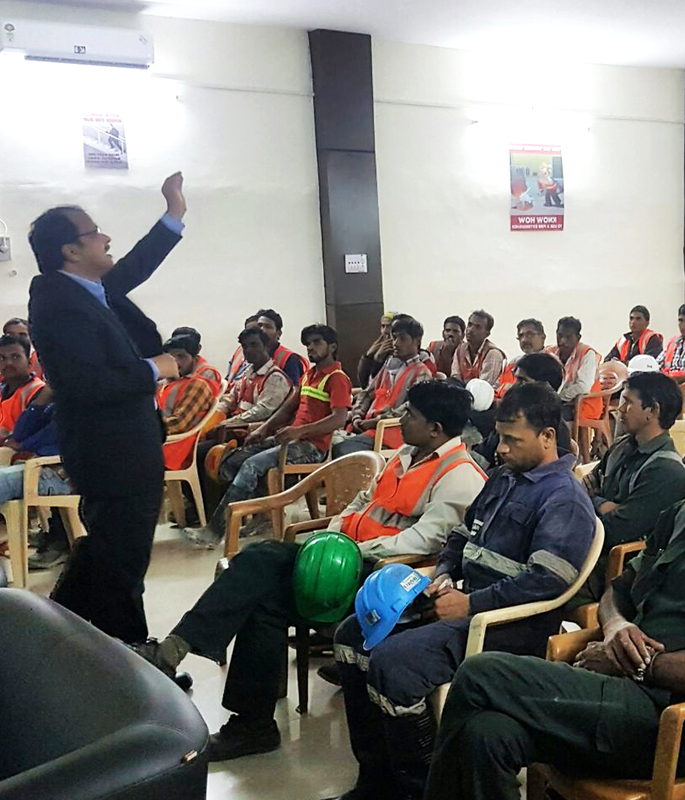 Conceptualised as part of communication project, BE SAFE involves live, informal interaction with contract & non-contract employees about industrial & road safety, not just within the company premises but also beyond the boundaries. The workshop comprises screening of specially crafted safety films and silent meditation sessions. The 90-minute interaction also involves narration of case studies and incidents. During the workshop, many employees realise the importance of their lives and how much they mean to their family and also the organization. The families of the employees are also encouraged to attend the workshops. Also, it is believed that today’s children would not only craft the future of India but will also be instrumental in bringing change in systems and mind-set. BE SAFE was thus extended to promote sense of safety amongst school children and develop them as safety gentlemen. BE SAFE has so far touched the lives of about 3500 employees, families and school children through 21 on-ground interactions in the state of Rajasthan. Extending the campaign to cover the entire state of Rajasthan, BE SAFE was started jointly with All India Radio, Rajasthan to promote road and industrial safety. The campaign contained real-life stories on road safety and reached 100% radio listeners of Rajasthan. BE SAFE contains safety messages and endorsements by Hon’ble Prime Minister – Mr. Narendra Modi and Ministers like Union Minister for Road Transport and Highways – Mr. Nitin Gadkari, other Government Officials, SPs, Collectors of Rajasthan and Sriji Arvind Singh Mewar. It also contains messages by Chairman – Vedanta Resources plc, and Hindustan Zinc management. The project BE SAFE Zindagi is now being run in Udaipur to bring safety impetus within the citizens of the city.